Here's a photo of a straw bear taken at the Whittlesea Straw Bear Festival this January by Helena Nash - thanks very much for sending in the great image! 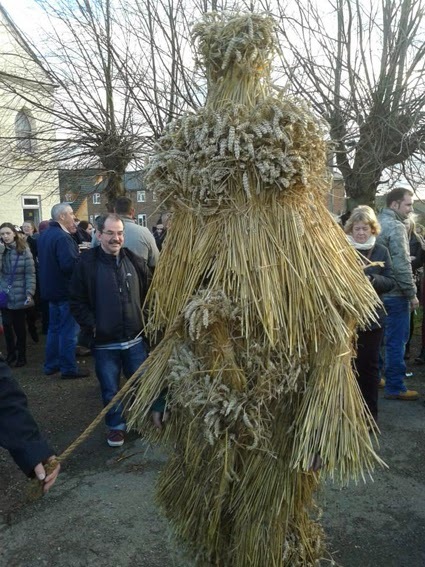 The Whittlesea Straw Bear Festival celebrates an old Fenland plough custom of parading straw bears around the town every January. Helena said: "It was a traditionalish folky English festival on a crisp January day near Peterborough." Note: The photo is copyright Helena Nash and is reproduced here with her permission. Please do not download it, copy it or use it anywhere else without her permission.